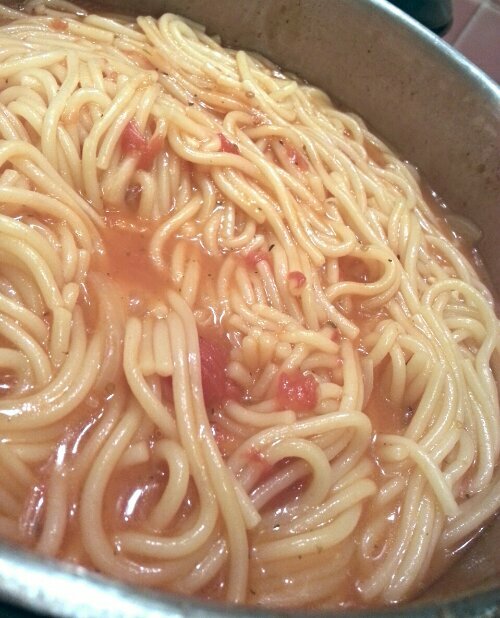 This spaghetti dish is truly MAGICAL!!! You put in all the gorgeous ingredients into one pot and in 15 minutes you will uncover a cooked dish ready to eat! 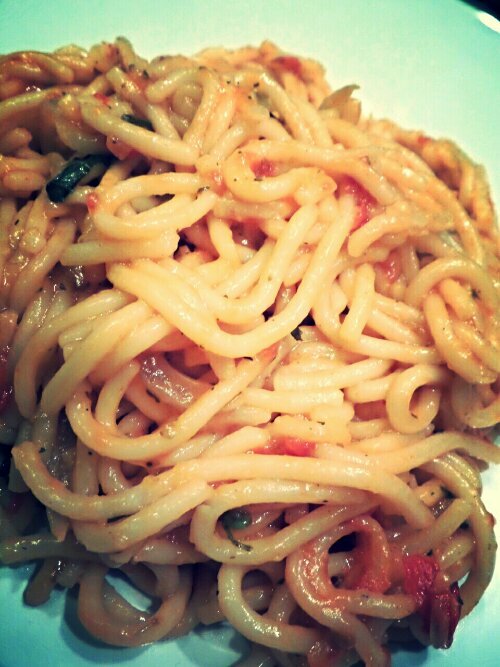 Such a rustic looking recipe which allows for the spaghetti to be cooked in its own starchy silky sauce. 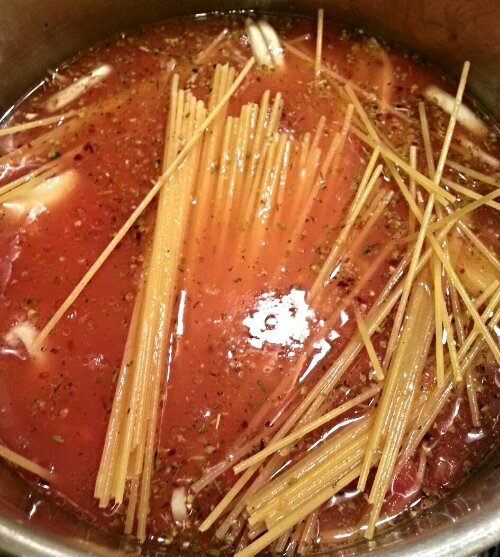 You will find that all the flavours are absorbed into the spaghetti and are more intense as it all fuses together in this abra-cadabra pot! I made this on Sunday when my brother and family came round for an early supper. I went into the kitchen, prepped the ingredients, did my magic and casually kept returning to see my work in progress…I love this recipe as you can spend more time with your loved ones whilst the supper is happening on its own! A real winner for us that evening, combined with some soft tear and share garlic bread courtesy of my brother as soon as he found out we were having pasta! Thanks Bro and family, we thoroughly had a nice time and it was sooo good to catch up! 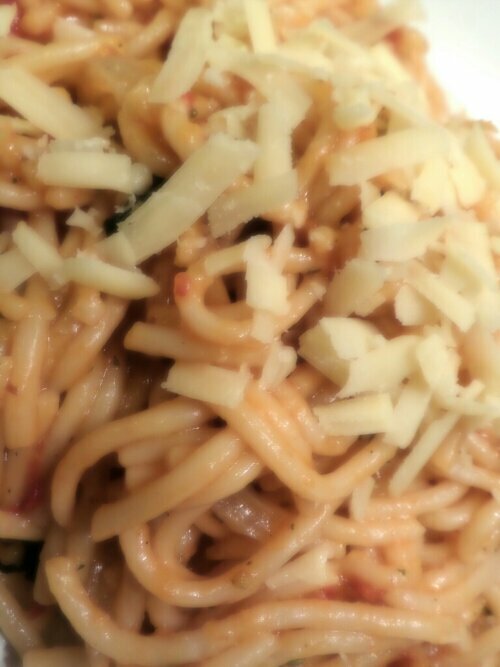 • Serve with some grated Parmesan and in my case a mature Cheddar!